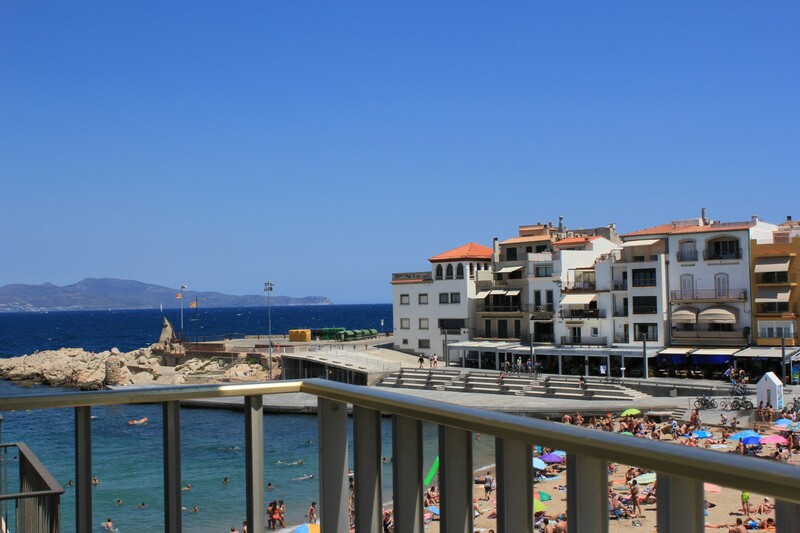 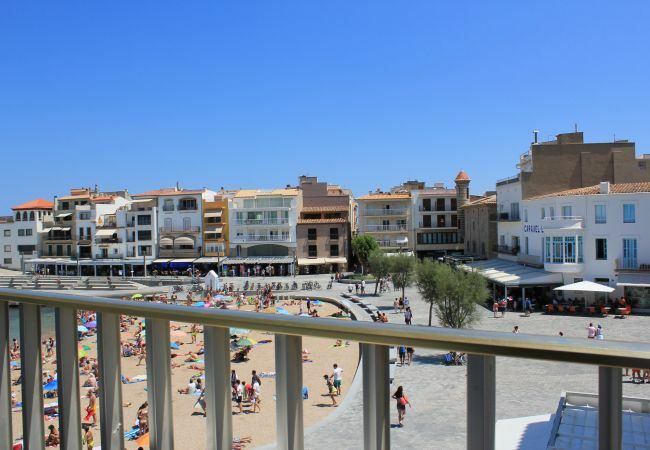 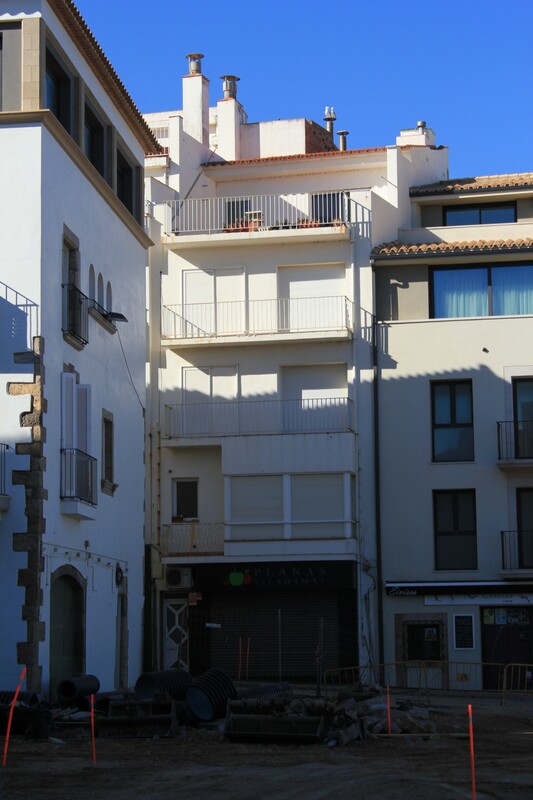 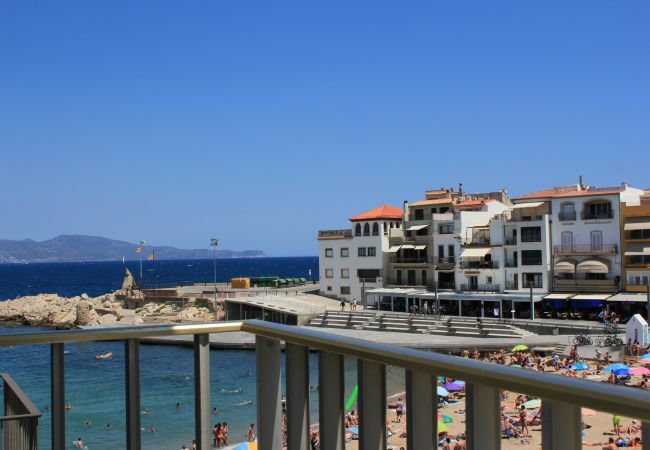 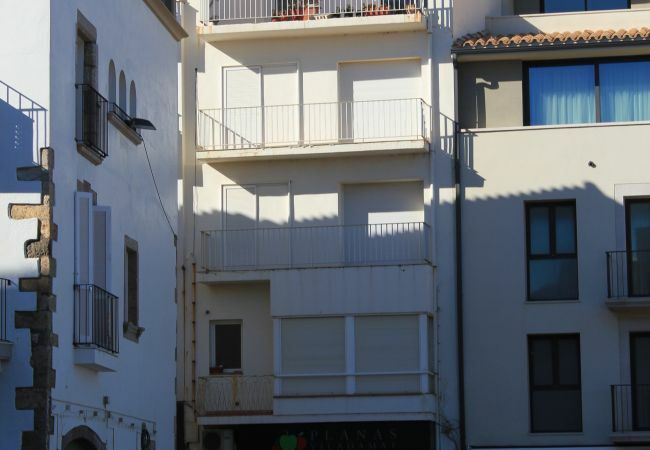 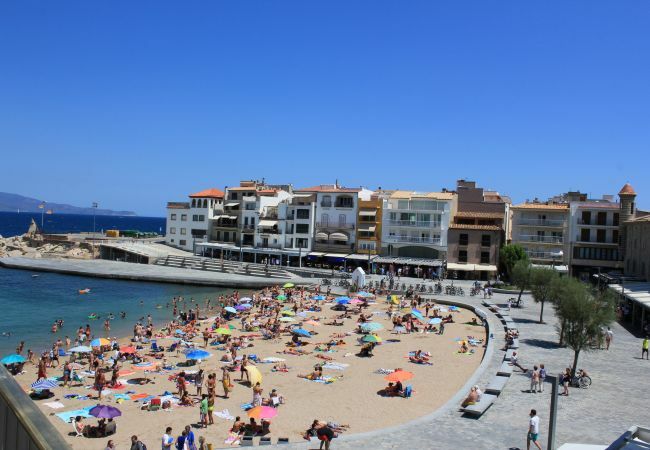 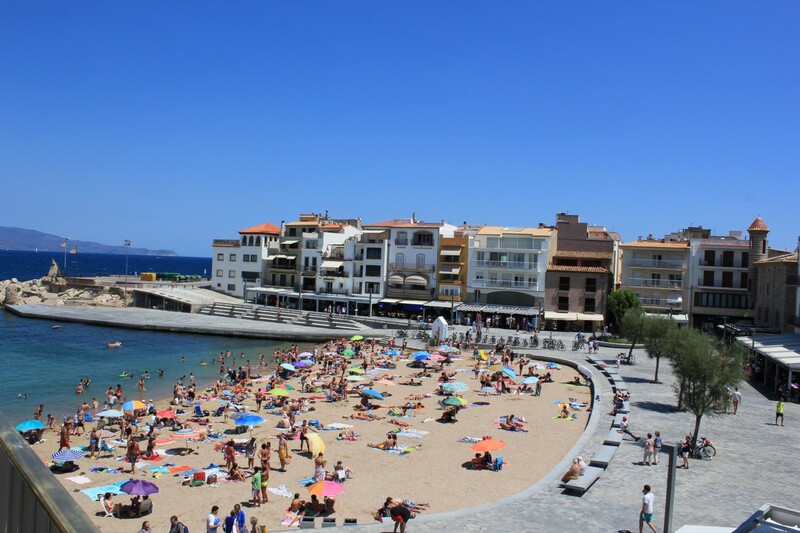 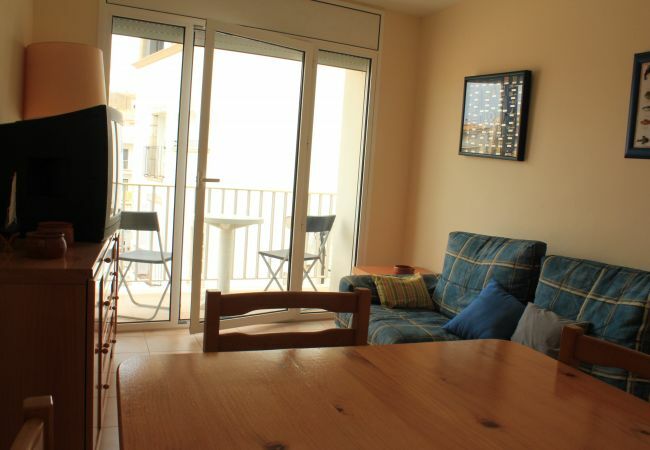 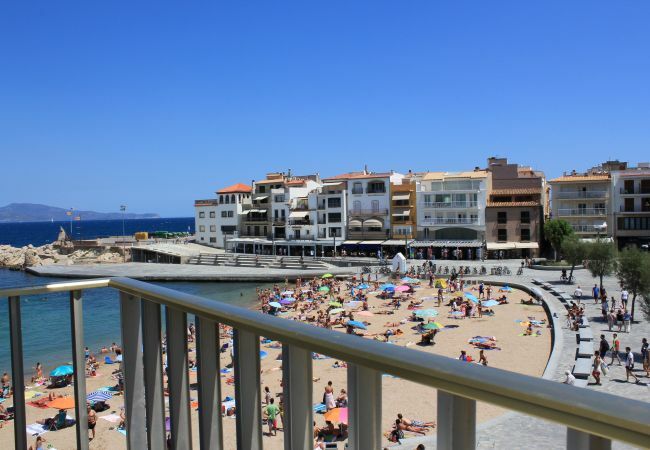 Cozy apartment seafront facing the beach of L'Escala and the shopping center, and about 500 meters from the beaches of Empúries. 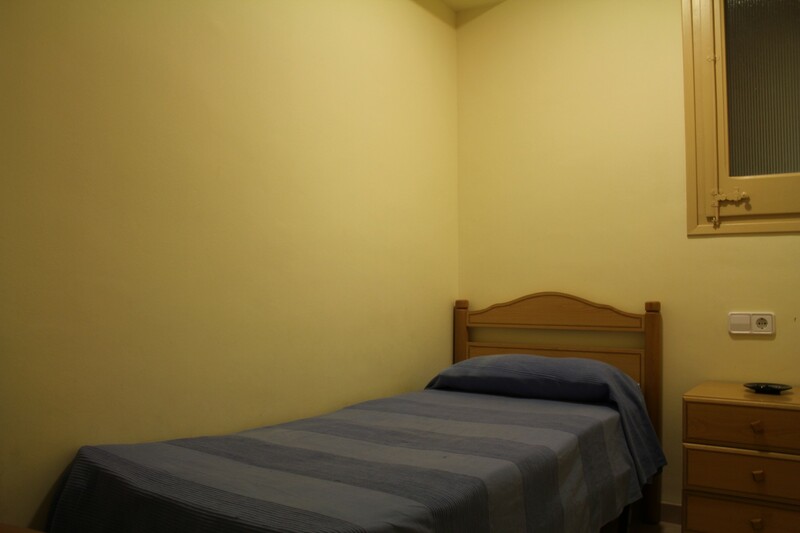 It has 1 bedroom with a large bed for 2 pers. 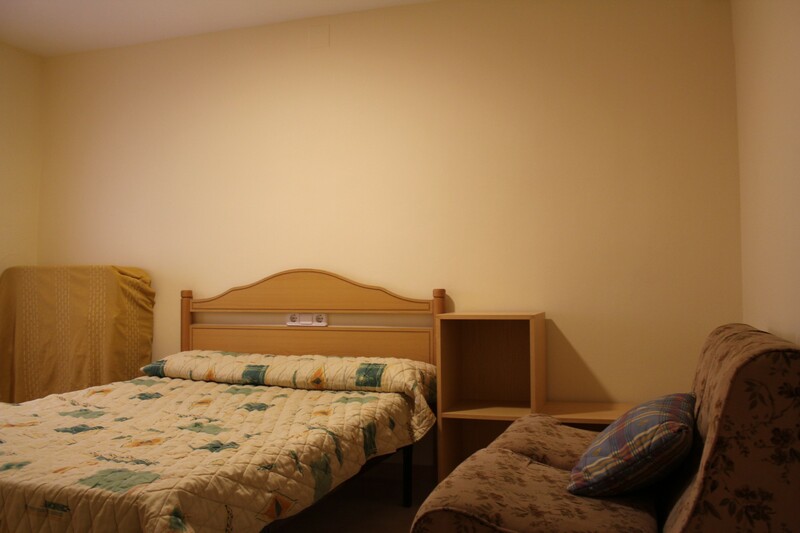 and a folding bed, 1 bedroom with twin beds, 1 bedroom with a single bed, kitchen, bathroom with shower. 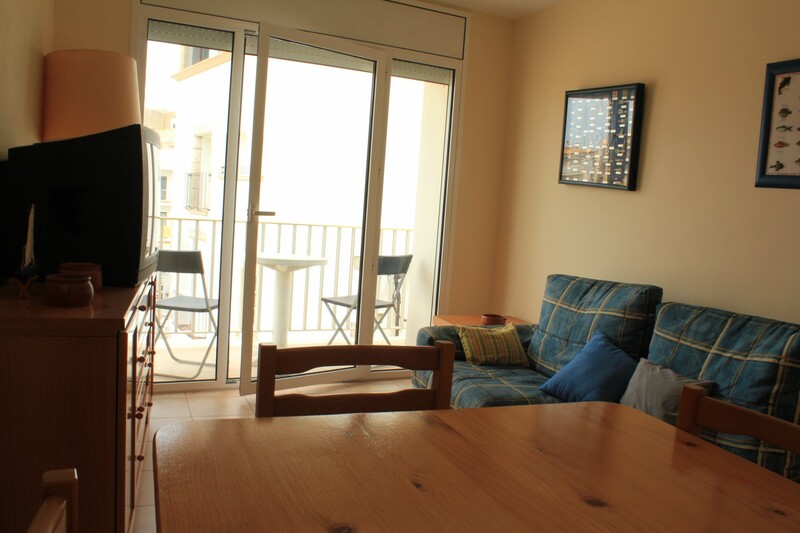 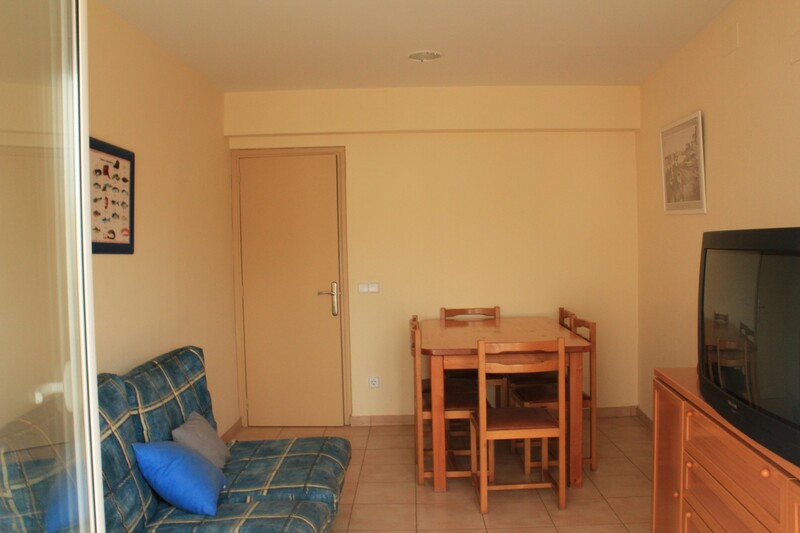 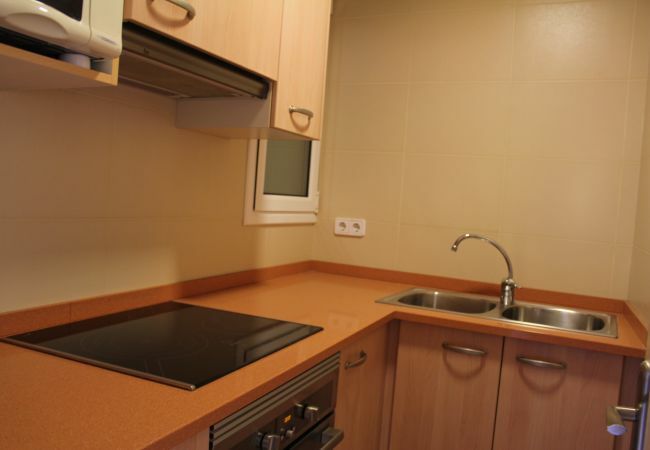 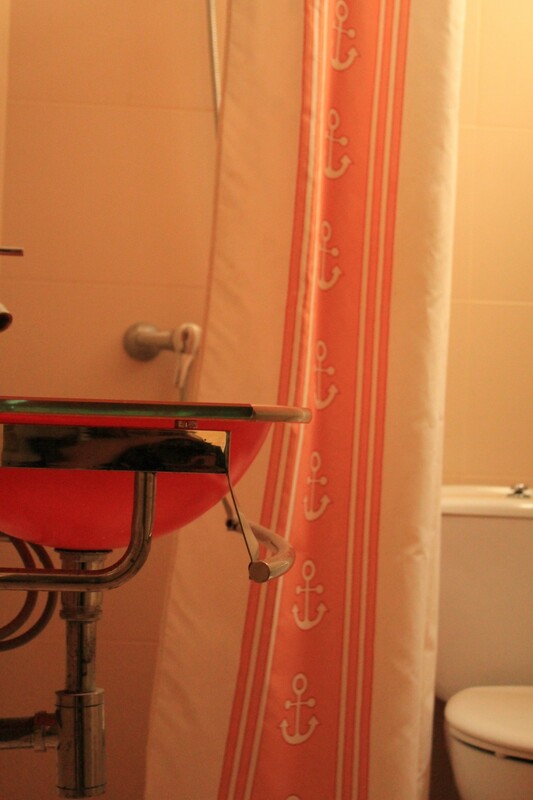 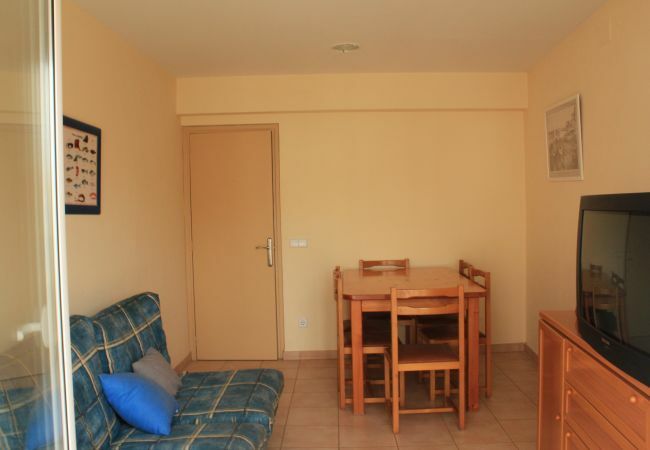 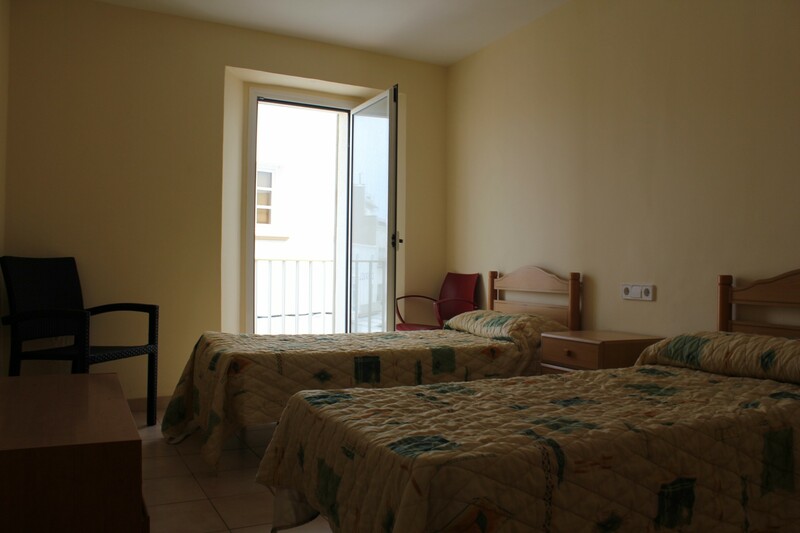 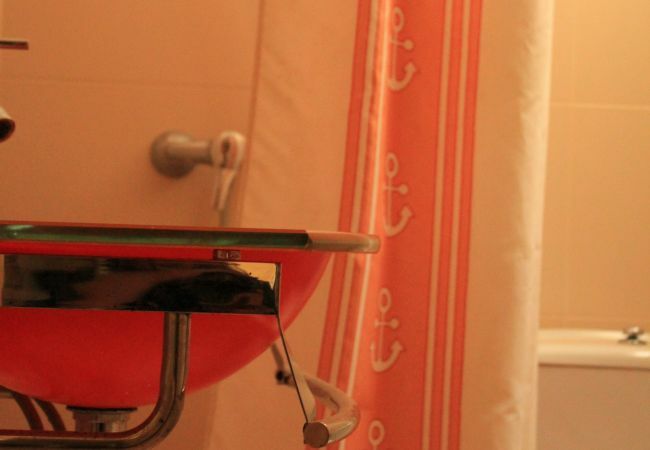 The accommodation is equipped with the following things: terrace, iron, electric heating, tv. Balcony- terrace with a magnificent view to the beach and town.